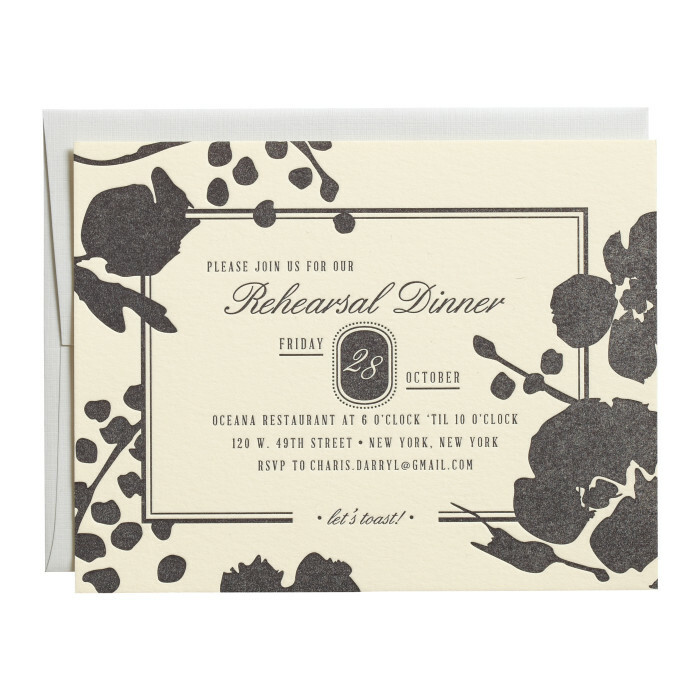 This eye-catching Rehearsal Dinner Invitation is classic yet confident. Cascading text imitates the organic movement of the florals, with some leaves and blossoms interrupting the border and helping to frame the text. The piece is one-color letterpress printed single-sided on luxuriously thick cotton cover stock with a textured tactility. $896 for 100 two-color letterpress printed, or $629 for 100 one-color letterpress printed, or $404 for 100 flat printed Rehearsal Dinner Invitations.